The KB9000 is a fully programmable bump bar keypad with touch operations. With the advanced projected capacitive touch technology, the KB9000 provides reliable and durable touch operations that cannot be achieved with resistive contacts. 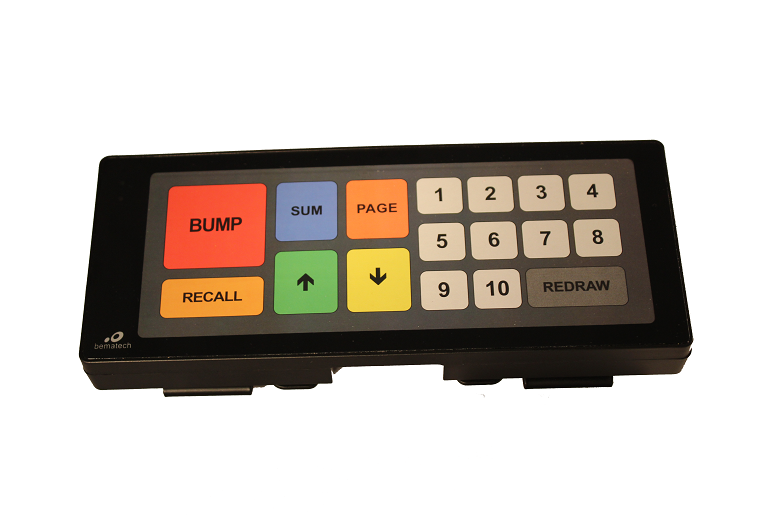 The user friendly programming software helps users to customize the bump bar layouts to desired number of keys, key locations, key dimensions, and key codes that meet the unique requirement of each application and maximize operation efficiency. Download the datasheet for specifications and more information.